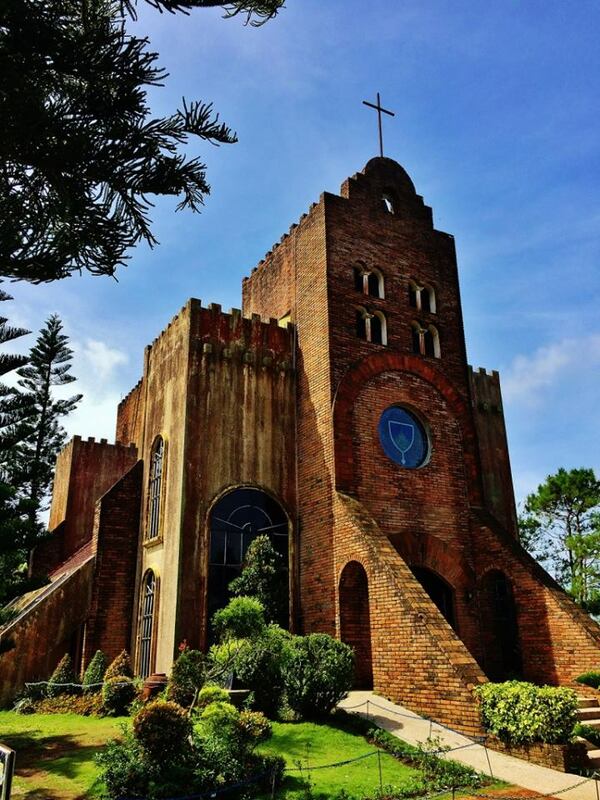 Caleruega is probably known as the most popular wedding chapel around Tagaytay. It is much photographed, and the image of the chapel of Transfiguration is most likely etched on the visitor’s, or prospective visitor’s minds. But what exactly is Caleruega? Caleruaga is a town in Spain, the birthplace of St. Dominic de Guzman, father of the Order of Preachers. 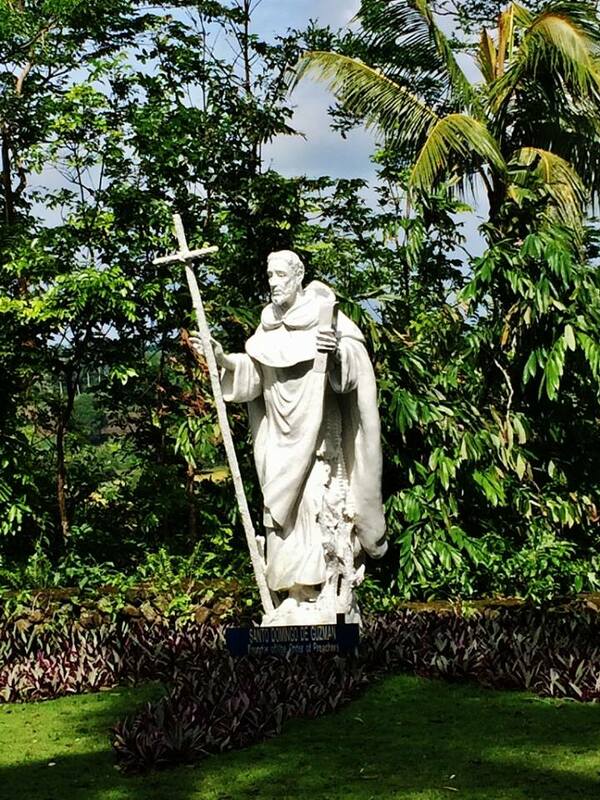 The Filipino Dominicans wanted to honot the legacy of their founder by naming this retreat destination in his honor. 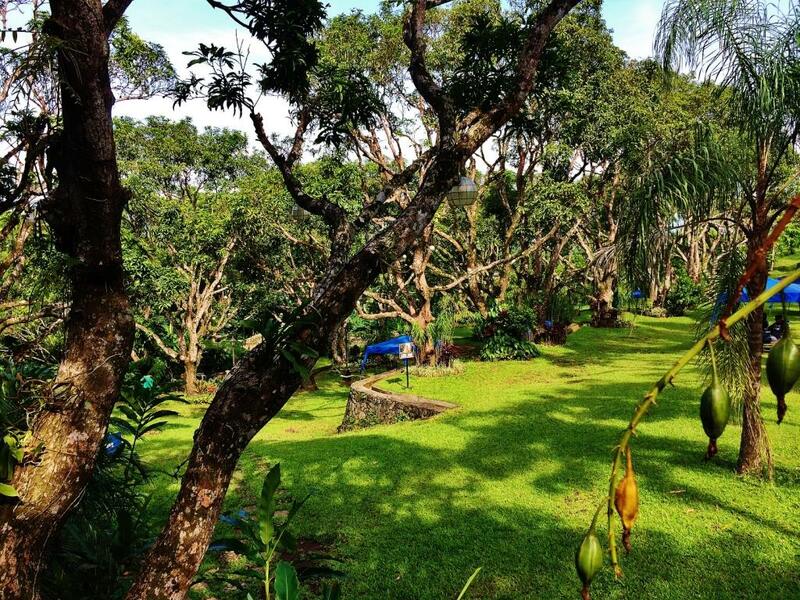 Many people think of Caleruaga as a Tagaytay destination. It may very well be, because it is but two kilometers or so away, near Hillcrest (formerly called Evercrest), in the town of Nasugbu, Batangas. Its topography and climate will indeed make the visitor think he is still in Tagaytay. 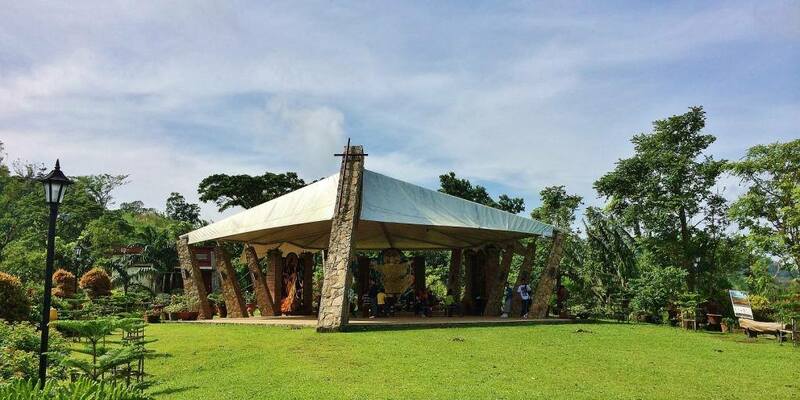 The Cenaculum is the very first structure that one will see upon arrival at Caleruega. This is also the gateway to the Chapel of Transfiguration, and to the retreat center accommodations. I would advise visitors though to save the visit to the Chapel of Transfiguration for last. Toilet facilities are available inside the cenaculum. 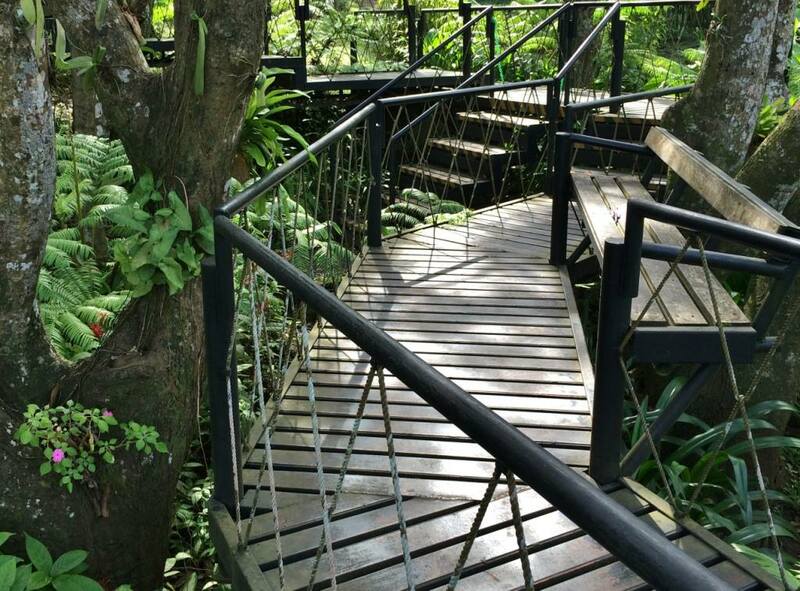 It is advised that visitors park their cars around the fountain in front of the cenaculum from where they can start the short walk to the koi pond, the hanging bridge, and the tent chapel. For tired legs, park benches are available on a shaded area near the parking slots. 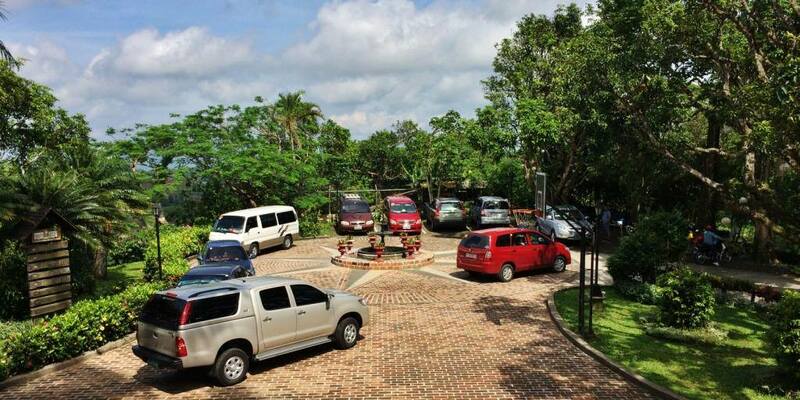 (UPDATE: Friends and a reader have reported that Caleruega does NOT anymore allow parking inside). Walk to the road on the right if you are facing the cenaculum. 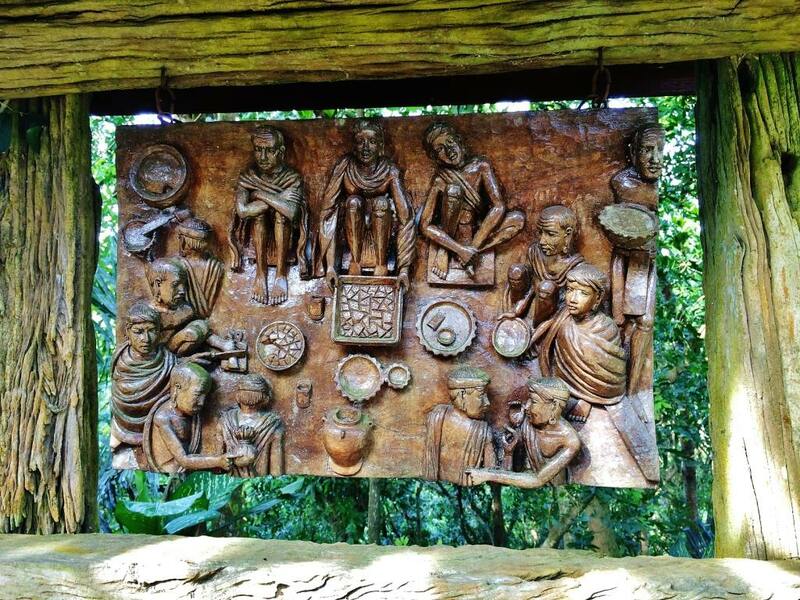 It is a beautiful walk, with interesting hand carvings representing the Stations of the Cross on what they call the Manaoag Drive. 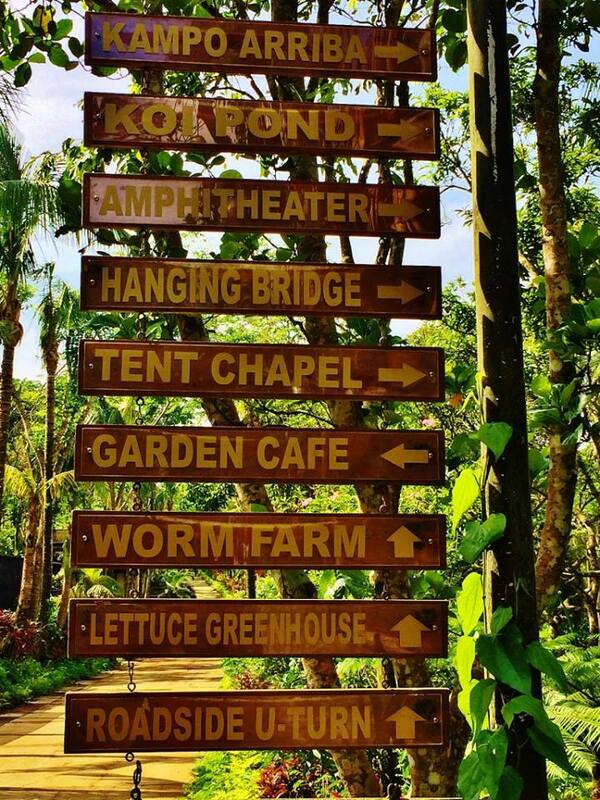 You will arrive at the beautiful koi pond surrounded by ferns and walkways, leading to the camping area and amphitheater. 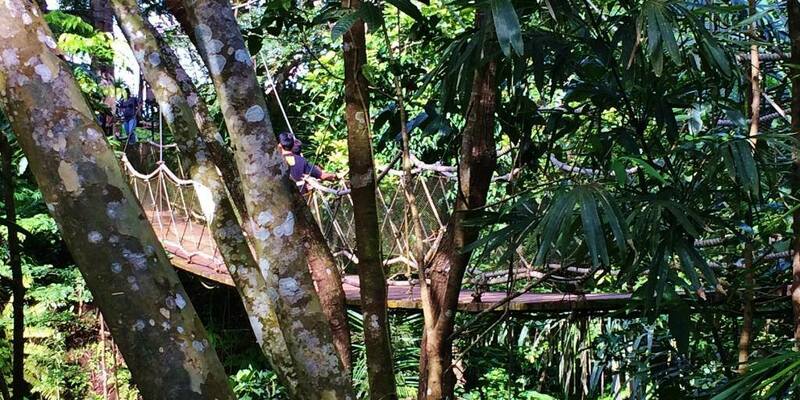 The hanging bridge is lovely. The walk uphill to the tent chapel is easy, and I counted 100 steps. There are benches around for those who may get tired easily. Walk back from the tent chapel via the same route taken going there. 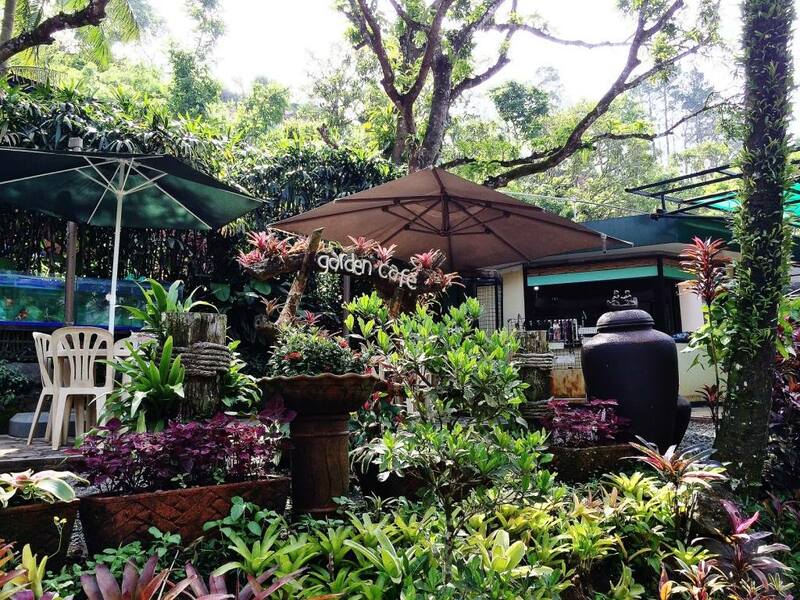 Relax and have a drink, or buy mementos at the Garden Cafe. Or visit the lettuce greenhouse, and the plant nursery where you can buy seedlings. 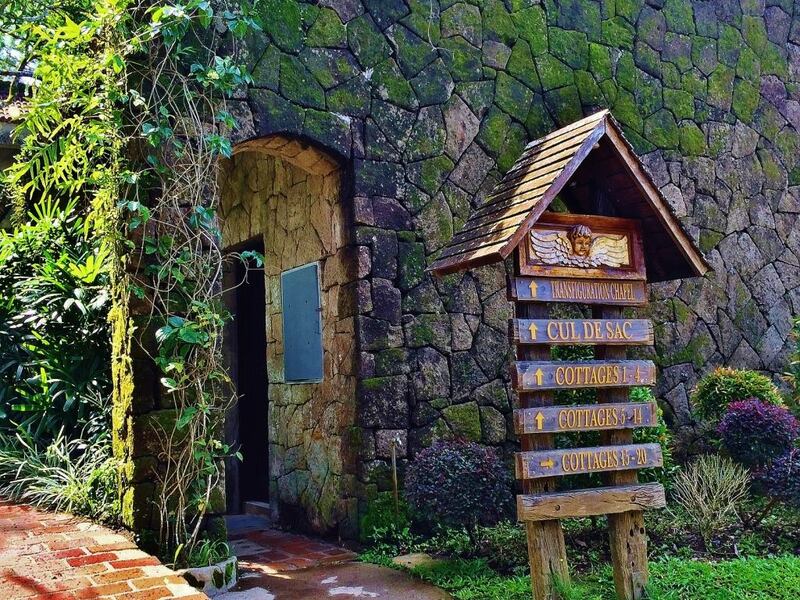 The pamphlet handed out to visitors define Caleruaga as a sanctuary amidst the beauty of nature where pilgrims are open to prayer, to creative transformation, and to Gospel values. While there are camping grounds, visitors must not, and can not use the grounds like they were camping near the beach. The whole complex is a No Smoking zone. Silence near the retreat centers is observed. From the cenaculum, take the door on the right and find the signages leading to the chapel. 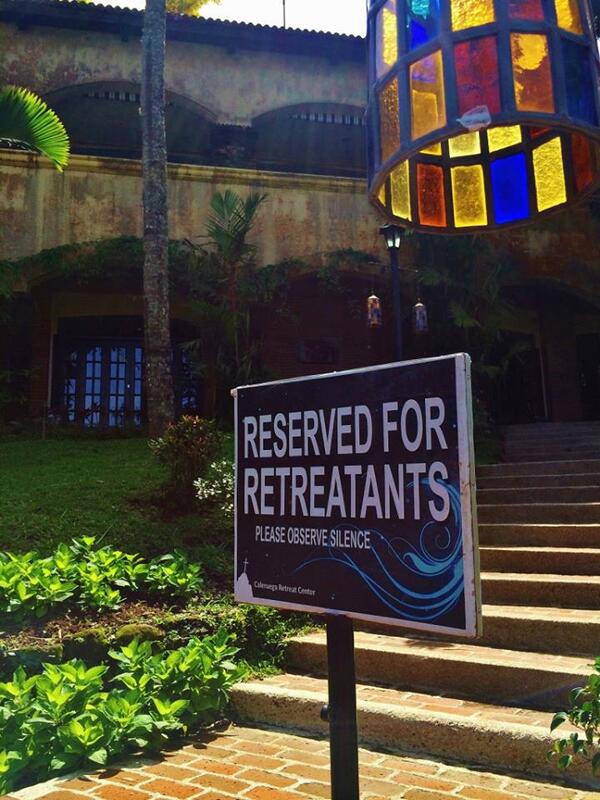 You will pass thru the retreatants accommodations (section just above). In front of the chapel is another famous icon: the sculpture named “Thy Will be Done”. Say a prayer or two inside the chapel. Or attend mass is one is scheduled. For your inquiries, please email caleruega_philippines@yahoo.com or call +639218304226 during daily office hours 8:00am-5:00pm, Manila time. HOW TO GET TO CALERUAGA. From Makati via SLEX (South Super Highway) take the Eton exit. Follow the TO TAGAYTAY signs and turn right after the Tagaytay Public Market towards the Tagaytay rotunda. Upon reaching the rotunda. Take the road going to Batangas and follow this map..
Alternatively, from Manila take the Coastal Road and take the Aguinaldo Hi-Way passing thru Imus, Dasmarinas, and Silang and on to Tagaytay. Follow map. From Tagaytay: take the road to Batangas until you reach the next town of Alfonso (where Tagaytay Royale and Sonya’s Garden are). Immediately after Alfonso is the town of Nasugbu. Go past the “Welcome to Batangas” sign. Drive on until you get to Hillcrest (formerly Evercrest). Take that road on the left. You will see the entrance to KC Hillcrest Hotel on your right. 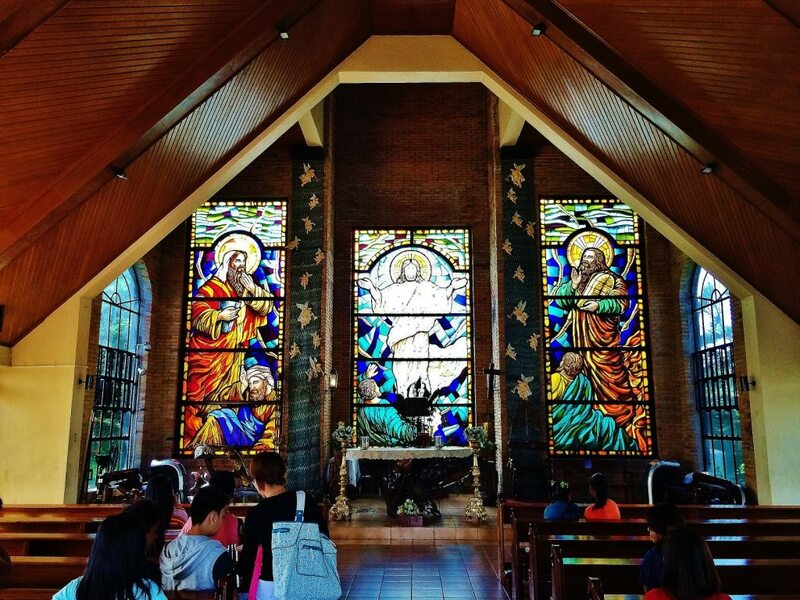 Drive past Hillcrest, past the Don Bosco Chapel on a Hill, until you get to a crossroads. 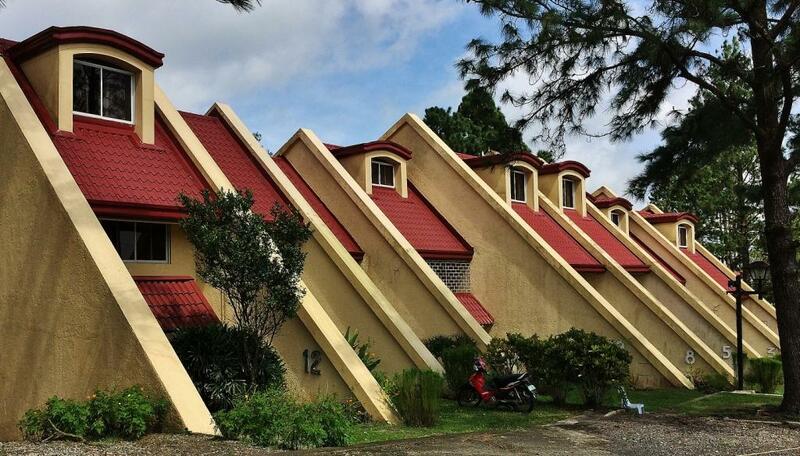 Take the right turn (there is also a Caleruega sign) and drive until the end of the road (before you reach the end of the road which is Caleruega, you will see hillside accommodations on your left). The road stops at the entrance to Caleruega. PUBLIC TRANSPORT: Take any bus that passes thru Tagaytay. These are buses destined for Nasugbu, Balayan, Lian, Tuy or Calatagan. Get off at Hillcrest (drivers/conductors might still know it by its former name Evercrest, be aware) in Batulao, Nasugbu, Batangas (the conductor can drop you there).Tricycle service is available at Hillcrest entrance. 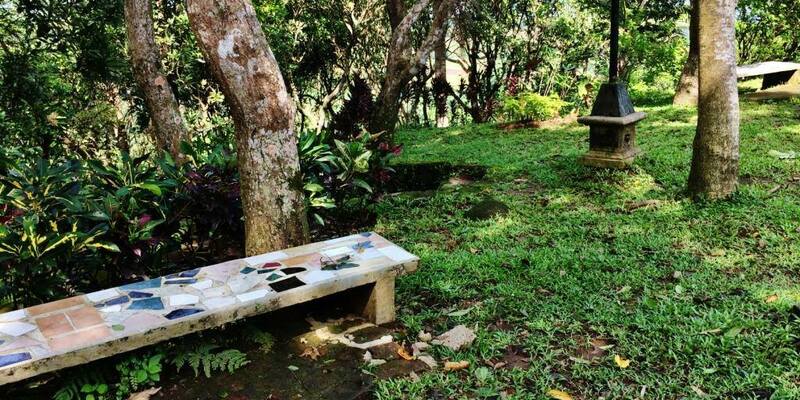 Or hike 2 kilometers to Calerueaga..
What if from batangas port what trip should i ride? How much is the tricycle fare? Sorry but I wasn’t able to check. I was in a car but I saw tricycles going there. Is there a place where you can stay over night? Sorry my reply might be too late. But if you went there already, you might have noticed the accommodations a few kilometers before Caleruaga. near what looks like a major reception area. 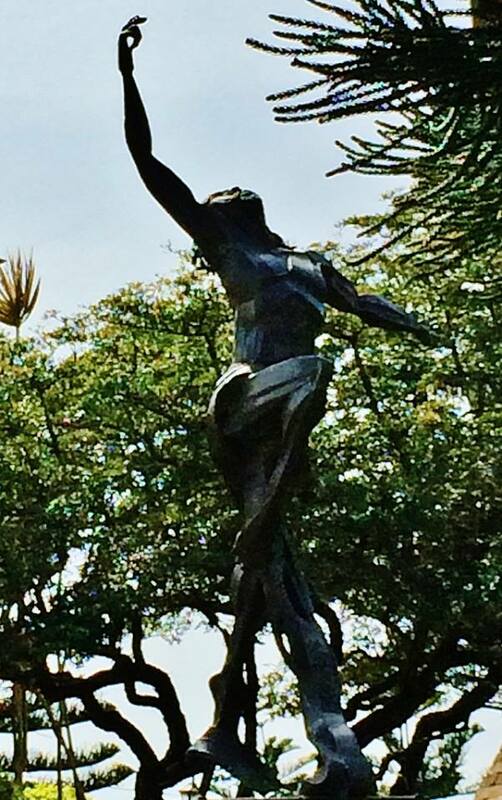 how was the road to caleruega? is it steep? rocky or just smooth? Good roads. Not steep nor rocky. Only a short portion needs paving, but absolutely no problem. Hi. Is this open everyday? I’m planning to get there on saturday. How many hours will it take to get there i’m from edsa rotonda. thanks! pls reply asap. It is a church, so it must be open everyday. From EDSA near Pasay, I figure it will take 3 hours. Not really sure, I go around in my own vehicle. That is my best estimate. Good day:) I just want to ask about the camping area. After visiting the beautiful places there, is there any camping area where you can stay for overnight with your tent? Thanks. I hope you answer it ASAP. Been there many many times… the place is also good for family picnics and well maintained surroundings is noticeable..
Again, bawal na DAW mag park sa loob ng Caleruega, kahit duon sa tapat ng picnic grounds, kaya mapipilitan kayo mag park sa labas, which is unsafe para sa mga may dalang sasakyan like cars, tyak pag-uwi nyo puro gas-gas na ang mga kotse nyo. I was lucky that they were still allowing parking inside the compound when I went there last. In fact, I showed the photo of the parking area in my blog. Sad to hear they do not allow that anymore. In fact, I also heard the same thing from a friend who went there a few months ago. I wish the management of Caleruega will at the very least assign guards to prevent the gasgas-kotse thing from happening. Yes, I think they should consider this, even if they might say this is outside of their property. But people go there and park outside because of Caleruega. Thank goodness I was able to read your comment just now. I was planning to surprise my wife by bringing her there today, on a weekday, thinking there wouldn’t be any hassle since we’d probably be the only visitors. Too bad they don’t allow parking inside. If they won’t then they shouldn’t charge parking fees. And if they do charge parking fees the very least management can do is assign guards to look after the cars of pilgrims. Sir pwede pa din po mag-park ng mga sasakyan sa loob ng Caleruega. Last po na punta ko is January 2016. Kapag full parking na po sa loob, meron po silang Parking Area na safe po talaga and it’s FREE. Kapag full parking na din po dun, no choice na talaga mag-park sa labas, which is unsafe talaga. Sorry but I did not take note. I believe I caught the name in the photo (I am not looking at it now). hi were going by tomorrow is der any mass on sat? I am sorry, this reply is late. Anyway, I wouldn’t really know the mass schedules. I only travel blog about destinations, and I miss out on some information my readers might need. Magkanu po ung entrance fee?..bkit po gasgas kotse?…matarik at pataas po b ung daan ppasok po dun? Quite honestly I don’t remember, but it is nothing prohibitive. As to “gasgas-kotse”, you will see that that was a report from one of my readers. I did not experience this myself. 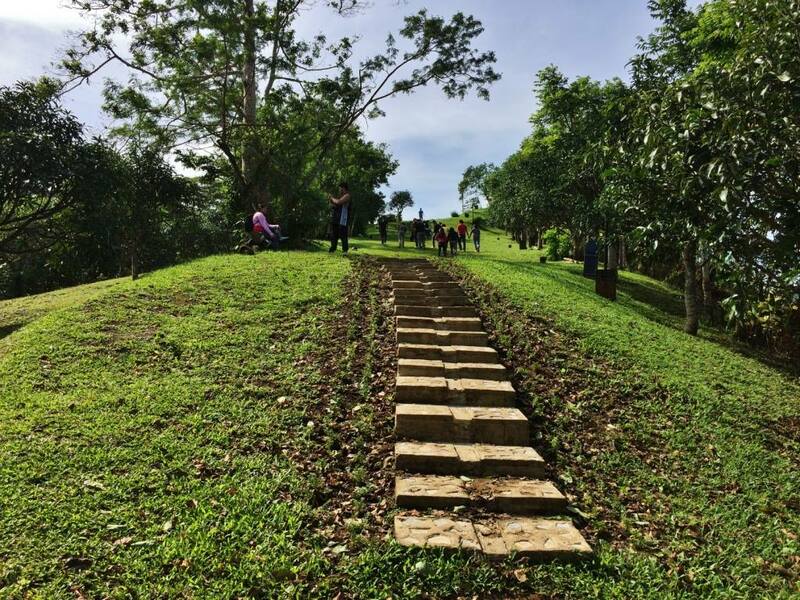 The road to Caleruega is not “matarik” or steep. It is an easy drive, even if some portions of the road are unpaved. hi do they allowed people wearing short?? I was wearing shorts then. may public transpo ba going to Calaruega from tagaytay Olivarez? None that I know of. Maybe putol putol, you can get tricycle from the corner going to Caleruega. So you must ride a bus and be dropped at corner Evercrest/going to Caleruega. Chateau Royale. 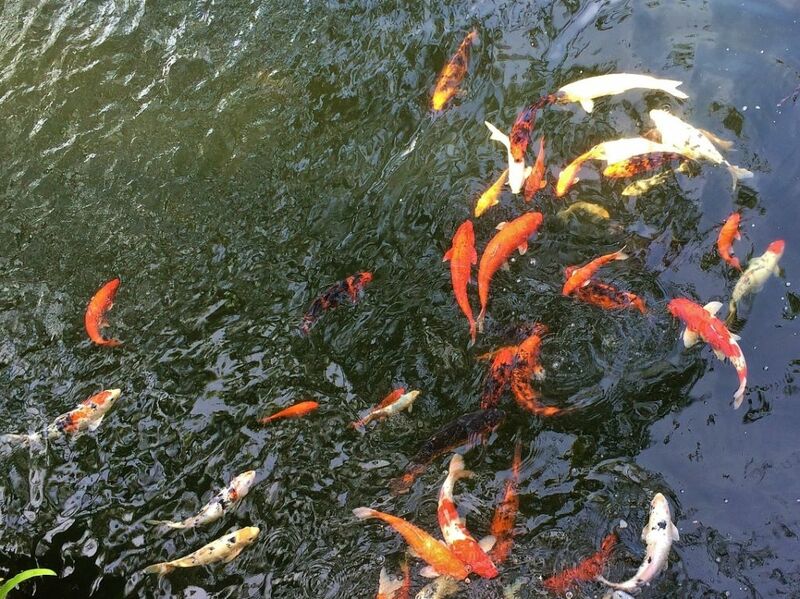 See link for location. The website will also give you info on the hotel. They are charging 30 pesos as “entrance fees” for maintenance, not as parking fees. While it is just my view, I dont think we should treat like some tourist spot and the place owes us convenience or anything. It is a place of prayer and not necessarily some business who gets money for profit. Just my side though. 30 pesos lang po talaga singil? As in yun na yun? Atsaka paano po pala pumunta diyan from the main road? May public transpo po ba? in your estimate how many kilometers from imus to caleruega? Hello there 🙂 is there beach resort near CAluruega? 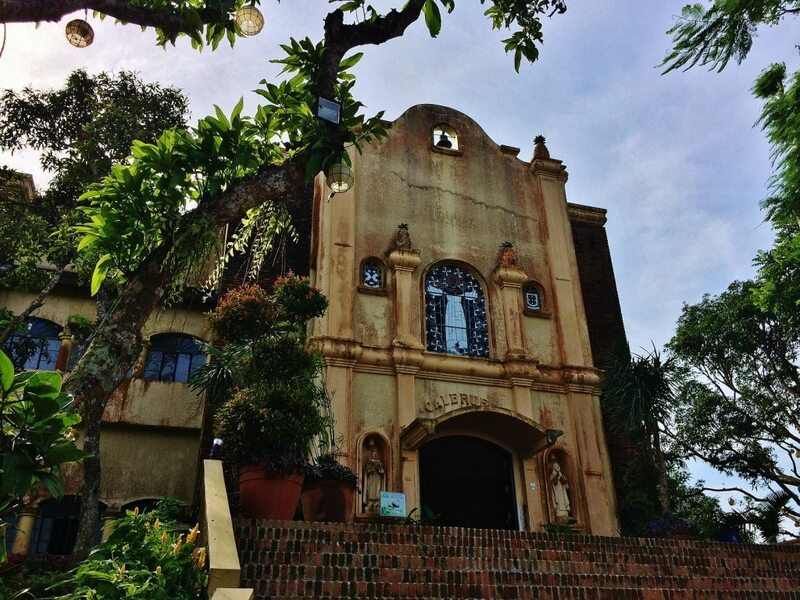 Caleruega is in Nasugbu, famous for beaches, but is actually closer to Tagaytay than the Nasugbu beach areas. From Caleruega, you can hit the beaches in approximately 45 minutes. thanks, how about mountains to hike? 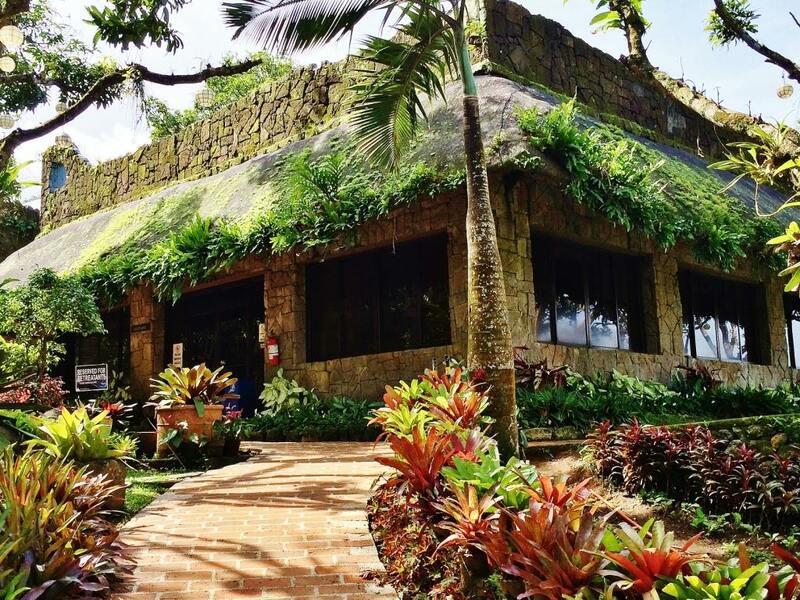 Try Pico de Loro in Nasugbu. It is the most popular, and very picturesque. 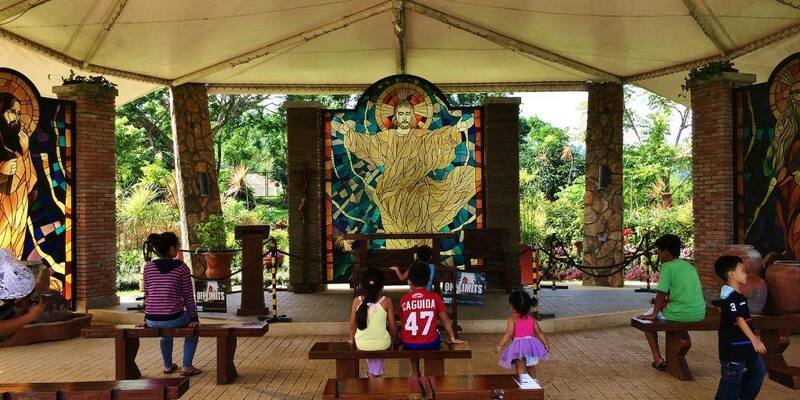 Caleruega is at the start of Nasugbu, just past Tagaytay. Take any bus that goes to Nasugbu via Tagaytay and ask the driver to drop you off at Evercrest where there is a sign TO CALERUEGA. There are tricycles from there. Sorry but I did not commute and can not estimate cost. what is Saturday mas schedule? I am sorry but I don’t know. I just went there and wrote about the place so fellow travelers can get a preview. I am a travel blogger and not in any way connected with Caleruega. Need po ba ng reservation before pumunta or direct/walkinns pwede? kapag po ba galing ng Amuyong tas papunta po sa Caleruega magkano po ang bayad at magkano din po ang entrance fee sa Caleruega? I have no information more than what I have written Sorry. 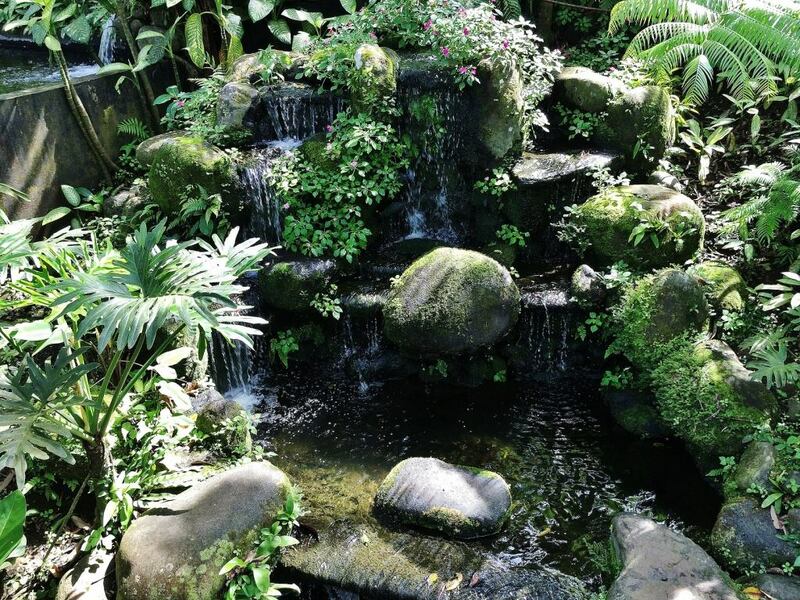 Very beautiful place…..nice place to have muni-muni sessions. Last year, 2015, accdg to one of the priests there one night per room is p1000….maybe with food already, not sure…can’t remember what he said. bukas ba ang caleruega every day? 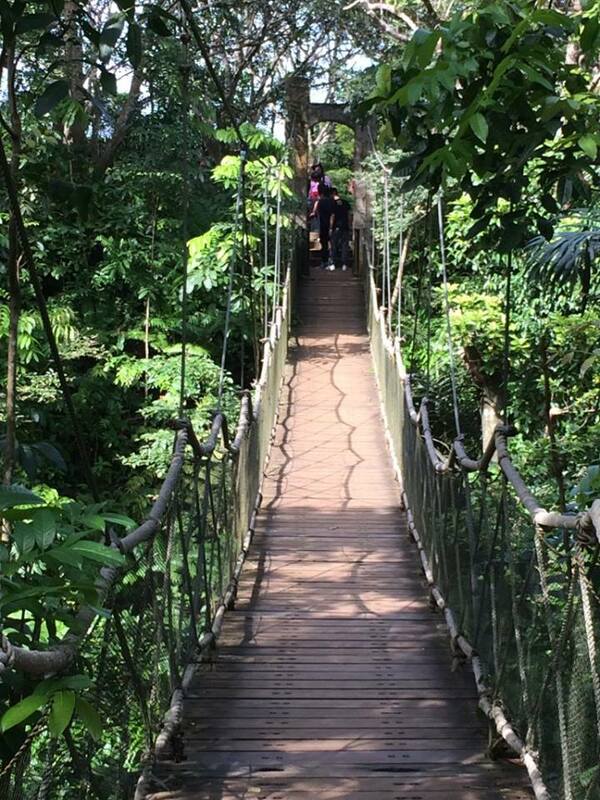 Go back to Tagaytay where there are many places to visit. Like Picnic Grove, Sky Ranch (where there is a zipline), People’s Park, or the Ayala Mall, or the many restaurant options : the high-end Antonio’s (by reservation), Sonya’s Garden (in Alfonso) where the lunch is salad, bread and dips, plus pasta (it was P650 per head the last time I was there), Mushroom burger, or just stop by a ridge and get photos of the volcano and lake. Thank you for writing the blog. It is really helpful. Thank you. I noticed that, too, the last time I was there. The reminder to update is much appreciated. pano po magcommute from Pala pala to Caleruega ? Aguinaldo Hi-way, take buses to Nasugbu. even on holy week they are open? Can i ask if need bang magpa reserve? Hi Sir, Do you know any hotel or inn na malapit sa church? yung pwede palipas lang ng gabi? 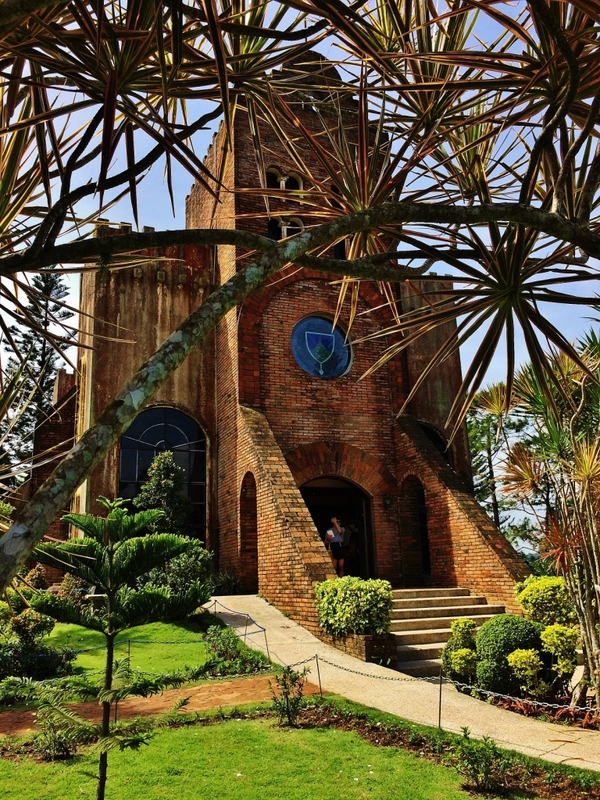 balak kase namen mag tagaytay, but we want to start our day trip sa tagaytay by going first here in Calaruega church..
Hi Sir, Do you know any hotel or inn na malapit sa church? yung mura at pwede palipas lang ng gabi? balak kase namen mag tagaytay, but we want to start our day trip sa tagaytay by going first here in Calaruega church..